Dear teachers of Korea - Merry Christmas, Happy New Year and sorry that you're stuck doing winter camp! So as a New Year's gift, I thought I'd share with you my winter camp plans and ideas. 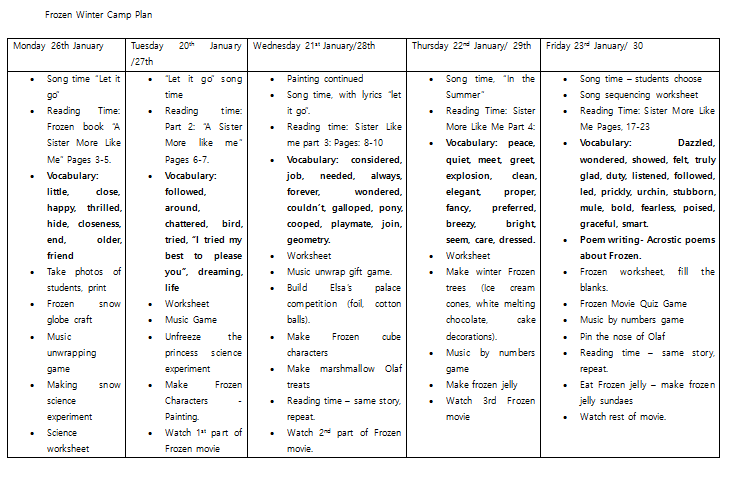 So everyday you can see I have 'singing time' which is when we will sing the karaoke versions of 'Let it go' and 'In the summer' maybe even "Do you want to build a snowman?' - just to get the kids into it. Next, we have reading time. 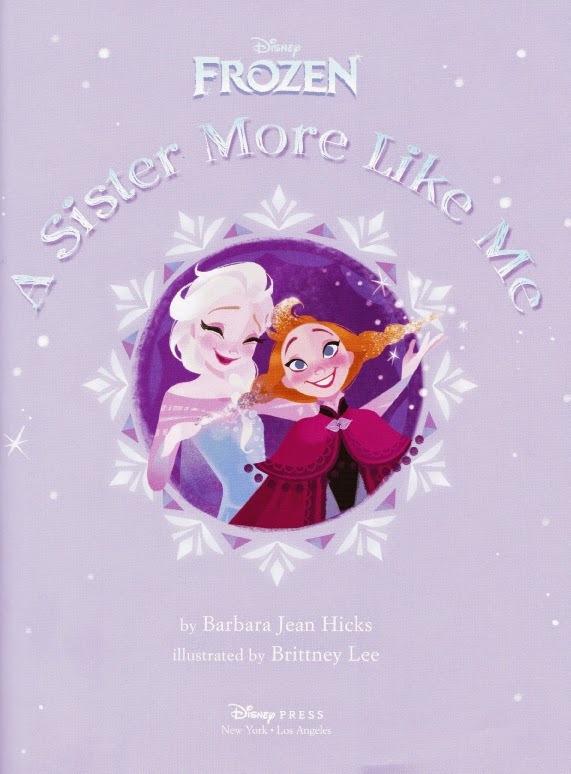 I found this great book based on Ana and Elsa called "A Sister More Like Me" - It's very sweet. I managed to get a digital copy from Amazon. You can download it somewhere for free, I've heard...via torrent. Good luck with that. It's a beautiful book, but a tad difficult so we will go through the vocabulary (co-teacher) and then read select pages a day. It is also written in rhymes which makes it even more fun to read. After reading time, we go through the vocabulary, my co-teacher is going to make simple PowerPoints for this, that have picture and translations. This makes us more English focused too. On Monday we tackle our 'Plastic Cup Snow Globes'. I found many how-to-make blog posts for this one, and I love how super easy they are to make. All you need is a plastic cup, card, decorative items of your choice (and budget) and a hot glue gun to seal it all. I've decided to also take photos of my students, quickly print them on card and that way they can put themselves inside their snow globe also! 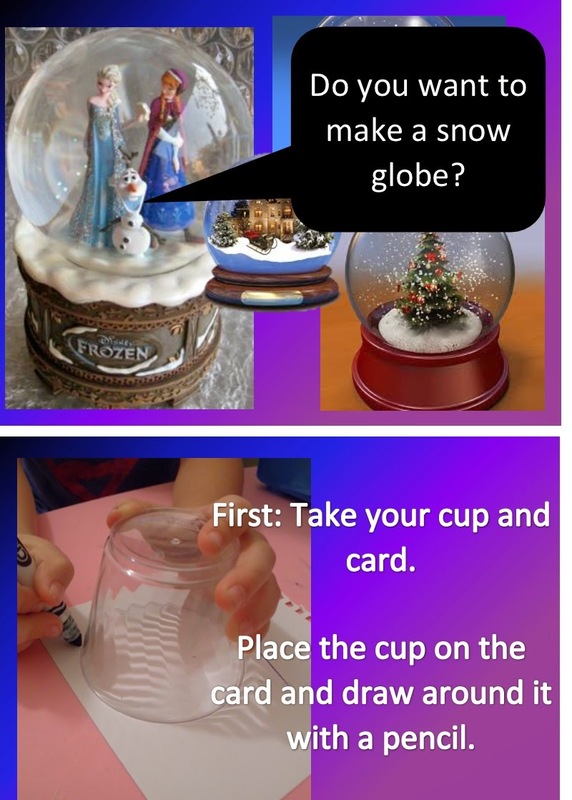 I made an easy PowerPoint to show the students how to make their snow globes, you can download it free here. (It's a step by step guide). I hope you will be able to make cute snow globes and have fun in your class, I can't wait to make mine. Next craft, Making snow science experiment. Now I got this from this link: Erupting Snow Recipe and will follow it, as it's super simple and looks fun. 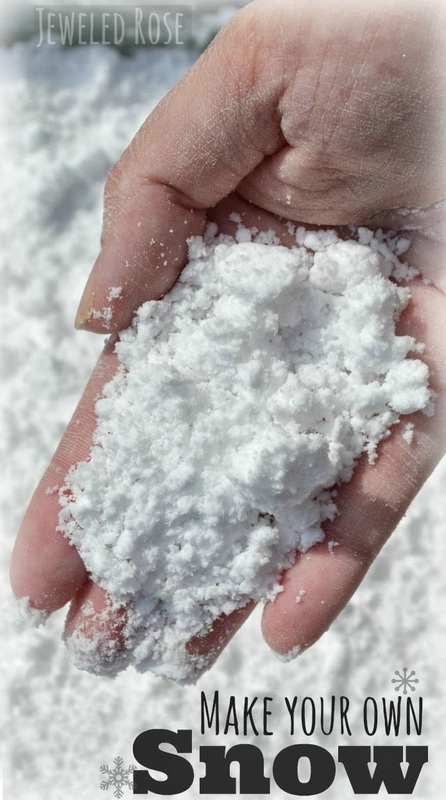 I think I'll also get cheap plastic containers/ bowls for each group to make their own snow. 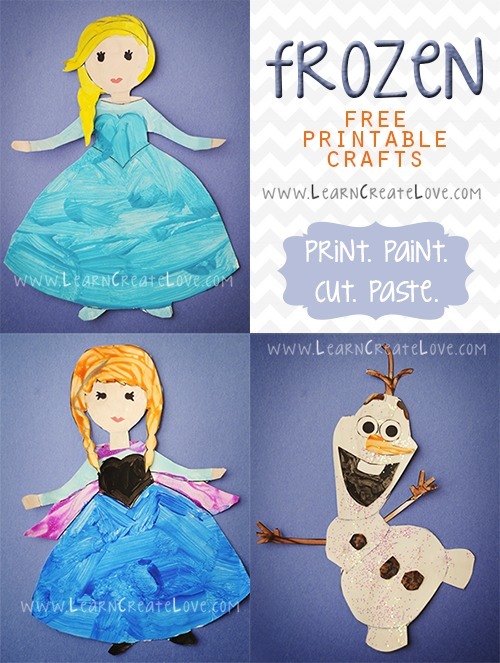 Another fun science experiment is a "unfreeze the princess" activity that I also found online. 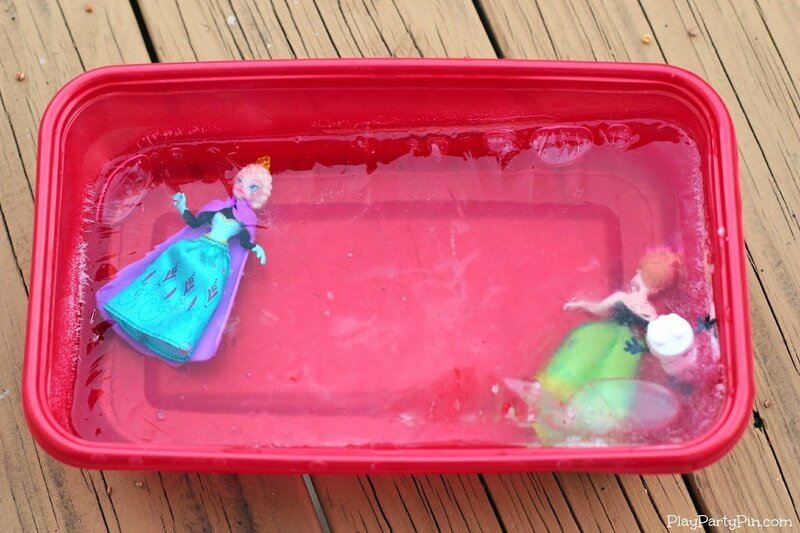 All you have to do is put a princess toy (small) inside a container then fill with water and freeze. The next day, get your students in groups and the first team to save the princess wins. You can also use small cups and line them with oil maybe? then its even more small and can melt faster. I'm thinking of bringing my hair dryer in and they can use it for a minute max, each group? Not sure yet...anyway, it's all about the fun. Another craft, which we'll do on Tuesday also is a simple painting activity. I found the paint templates online and downloaded them for free. The kids just have to paint and cut out, stick on coloured paper. You could dress this activity up more, perhaps add glitter, etc... but I'm keeping it low maintenance. And we're using the paint left over from summer camp. Download on this site: Thank you learncreatelove.com! 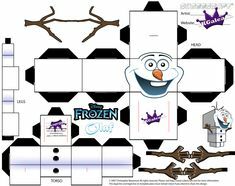 On Wednesday we will make simple Frozen Character Cubes. I got these lovely templates off deviant art , you can download them free here: Cube Crafts. I think I can easily change them to back and white and have the kids colour them in before cutting and assembling. Again, keeping it simple and cheap. great to print these on card. After that, also on Wednesday we're going to make Olaf Marshmallow treats. This is super easy. All you need are marshmallows and some black icing... or black sting liquorice and candy corn. Use what you can. 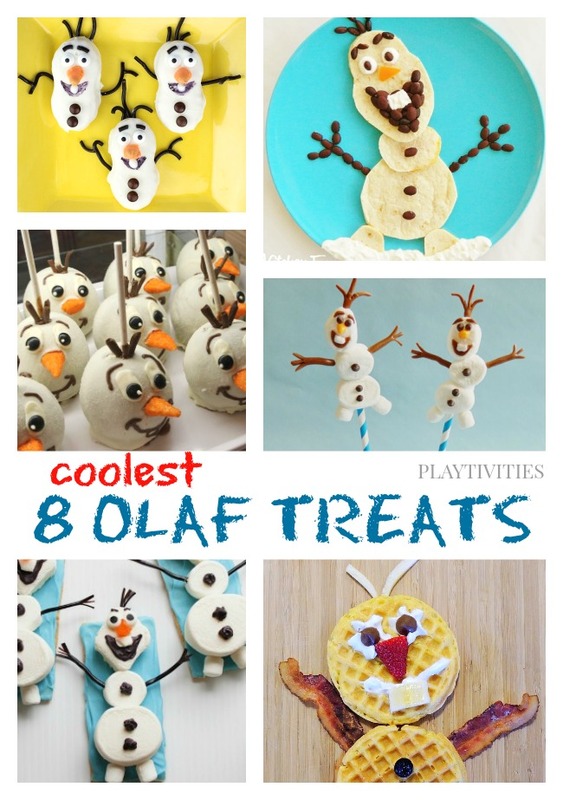 Here's a link with a few different ideas on how to make these Olaf treats: Olaf Treats Thank you playtivities.com! On Thursday I'm going to attempt to make ice cream cone winter trees, they are simple as you only need ice cream cones (1 per child) and melting chocolate, preferably white to go with the Frozen/winter theme. And I am planning to have watered down blue food dye to paint the chocolate with, or mix in prior to pouring over the cone. And also I want to find blue and silver sprinkles...although multicoloured ones are fine too. I got this from Disney Family.com. After we will make Jelly, hopefully blue and let it set overnight. The next day, Friday, I want them to spoon their jelly in cups and top with whipped cream. (and sprinkles?) While I'm on holiday I'm going to search for Frozen or any winter theme candy so we can stick that in our jelly. This is a red one, but you see the idea (blue in the back). Make sure you whip some sugar in your cream or buy whipping cream in the can. Very simple yummy treat. So we're going to play the music number game - which is when you play music, when it stops call a number and the students need to form a group with that number of people. (Play music from Frozen!). We'll also play the unwrapping a gift game or "pass the parcel"- a Christmas party favorite where you wrap a small gift as many times as you want, have the students pass it around to music in a circle. When the music stop they unwrap one layer (hoping to get the gift) but in between layers you can either have nothing, or to make it more educational put in a challenge. 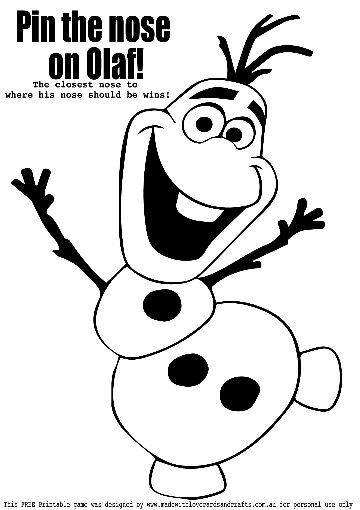 I want to write fun challenges like "draw Olaf on the board" or sing "let it go -the chorus" , "spell snow"... etc. You can just use newspaper. You can print this one off, but google has many more - or draw your own! there are so many Frozen movie quiz games on Waygook but I think I'll make my own, however not round to it yet. I will also put spelling / vocabulary questions according to our reading. 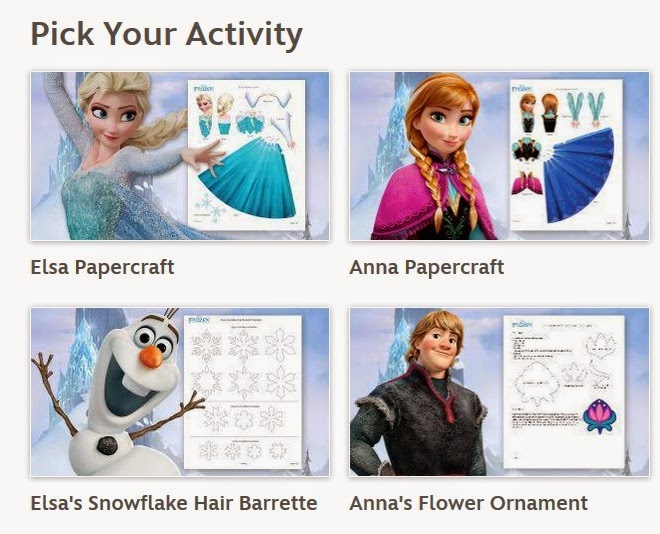 There are also lots more Frozen printables available on the Disney site : Frozen activities. At The Restaurant! 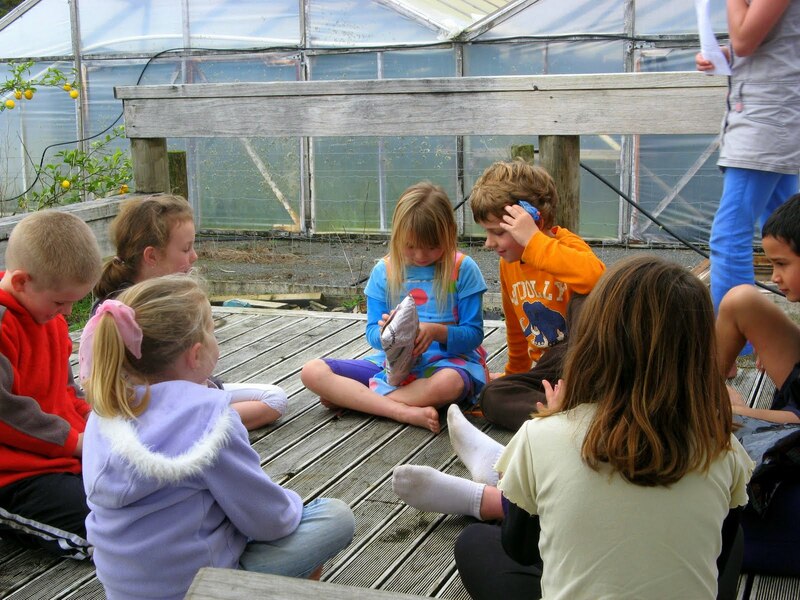 ESL Role-Play! Free download!